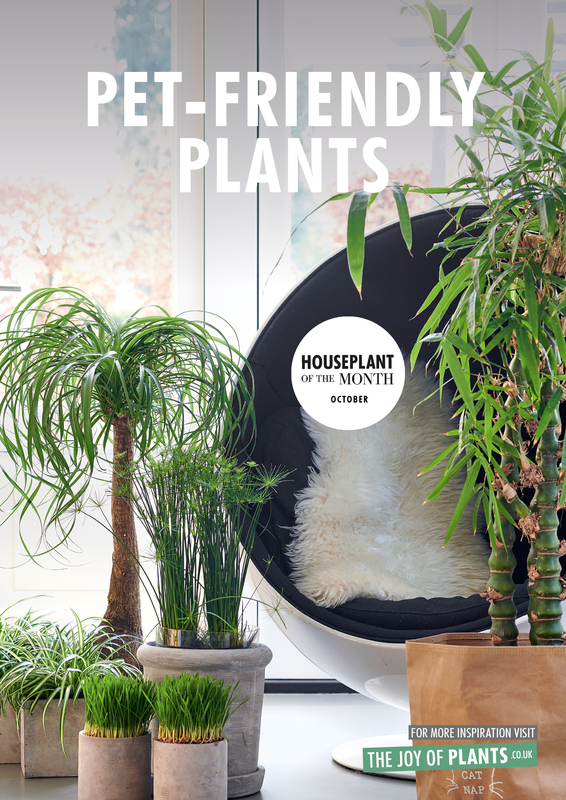 We have selected five pet-friendly plants for October especially for the owners of dogs, cats, rabbits and birds who sometimes fancy a little nibble on something green. 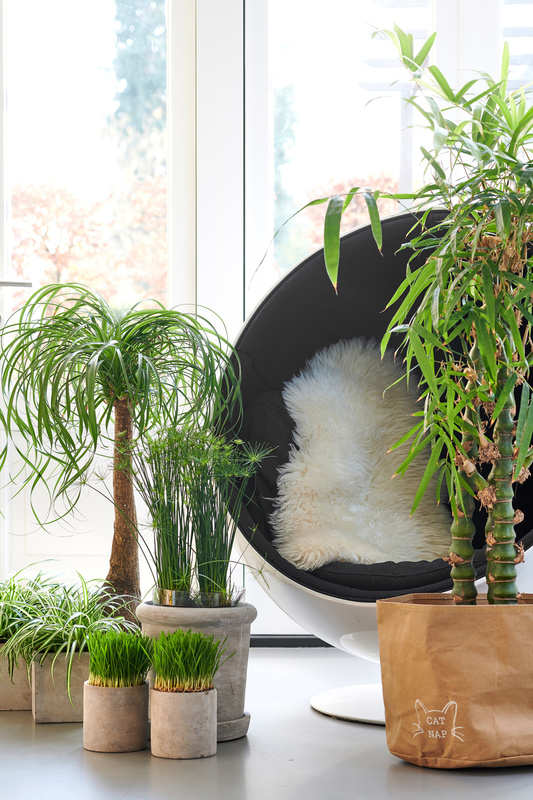 Chlorophytum (spider plant), Cyperus (umbrella plant), Hordeum (cat grass), Beaucarnea (elephant’s foot) or Bambusa (bamboo) are all attractive to look at - including for those who don’t have pets - and safe for our furry and feathered friends. 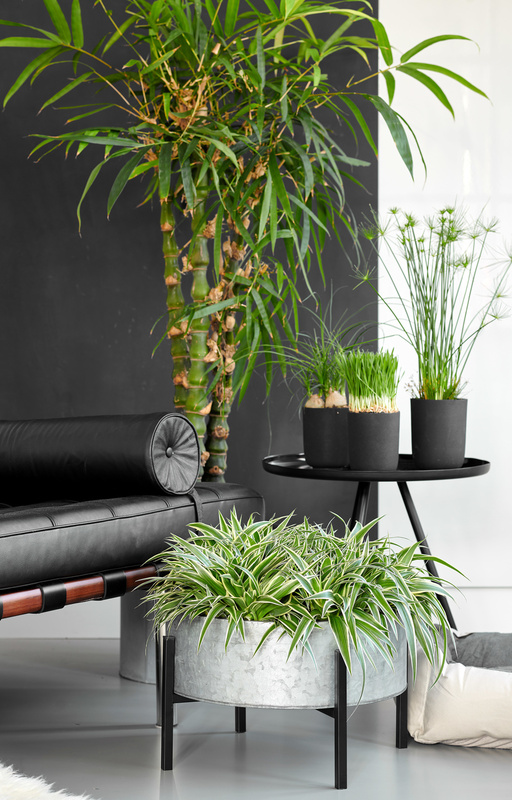 The selection of pet-friendly plants has an international background. Chlorophytum originates from southern Africa. 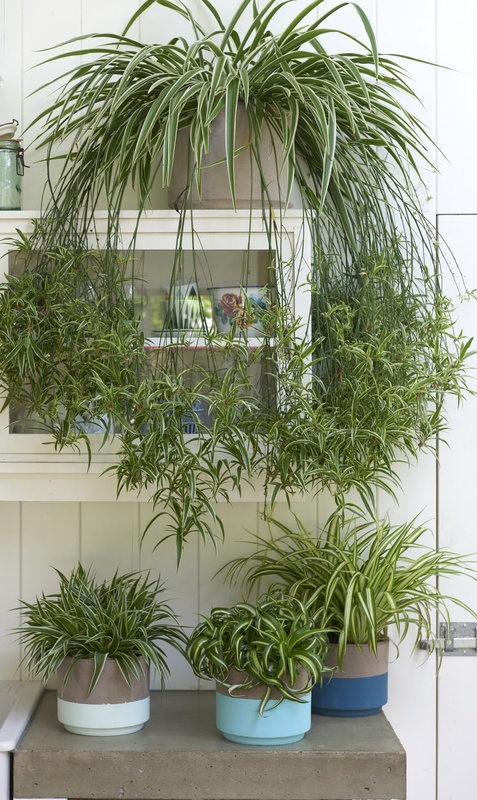 Beaucarnea (also known as Nolina) grows wild in Texas, California and Mexico, where it can reach a height of 5 to 6 metres. 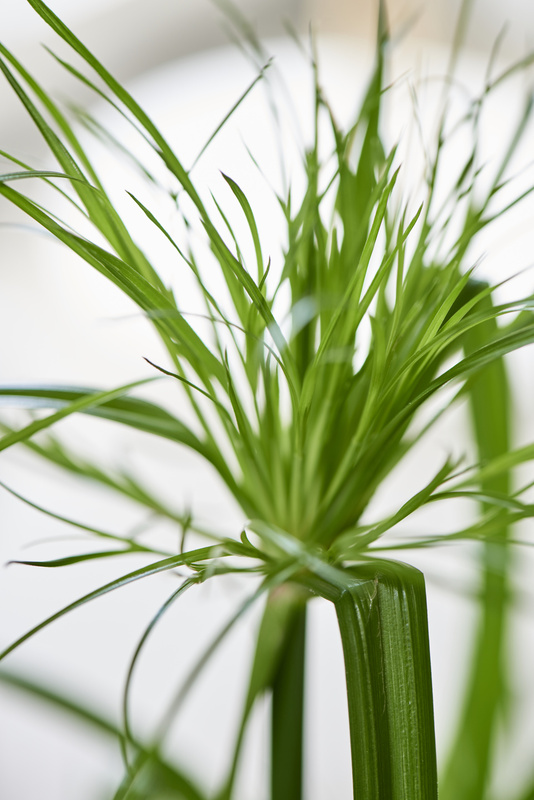 Cyperus grows on the banks of the Nile in Egypt. C. alternifolius, the umbrella plant, is native to Madagascar. 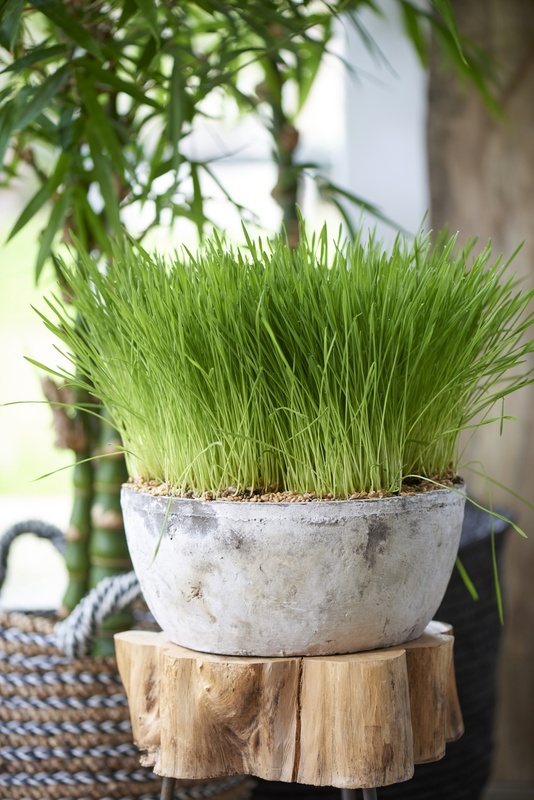 Bamboo originates from China, and cat grass is actually barley (Hordeum) from the Middle East. 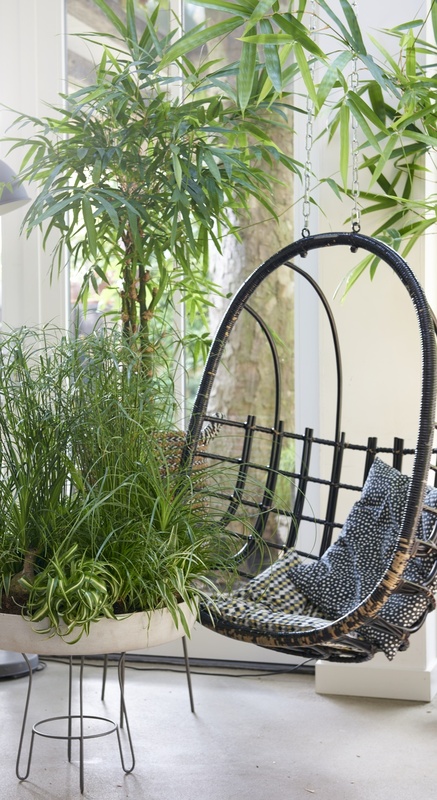 The pot size, structure and volume of spider plant, umbrella plant, elephant's foot, bamboo and cat grass must be in proportion. Particularly look at the leaf tips: they should not be brown or damaged. 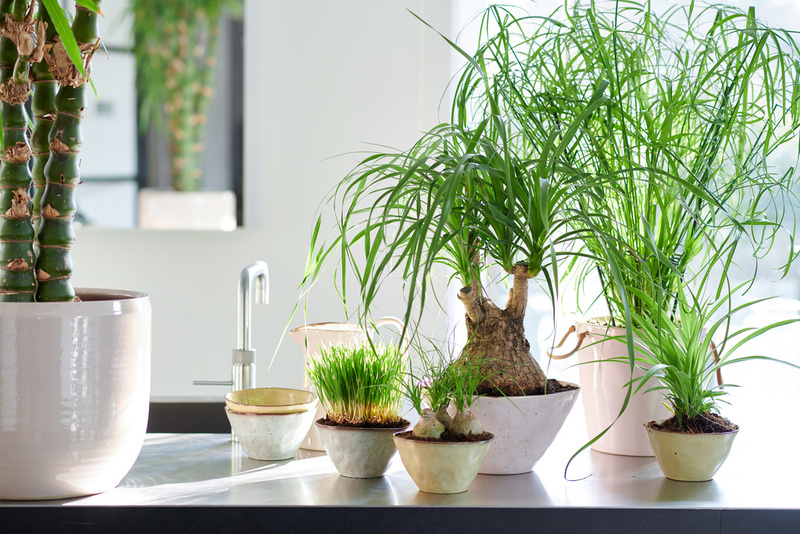 Pet-friendly plants must be offered with damp soil. 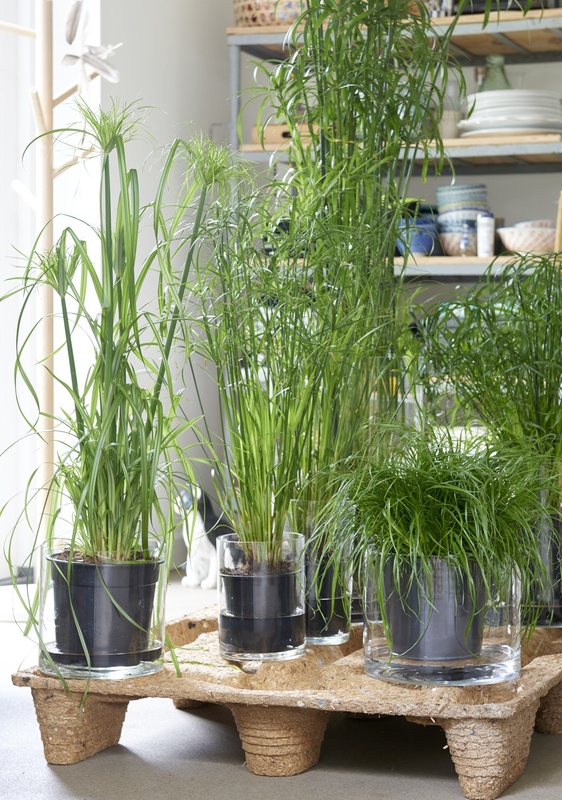 Cyperus: the variety 'alternifolius' is very well known, but the cultivar 'Zumula' is also very suitable as a pet-friendly plant. 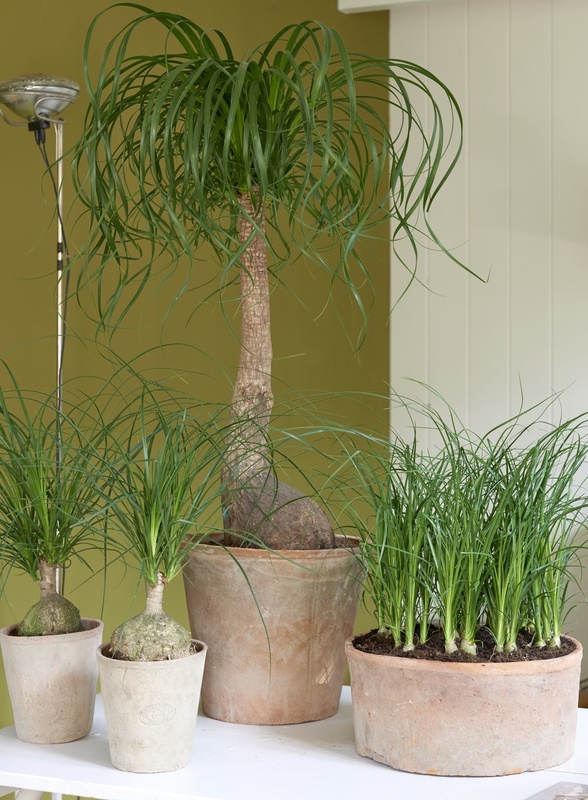 Beaucarnea has a sturdy stem with leaves that attractively bends backwards. 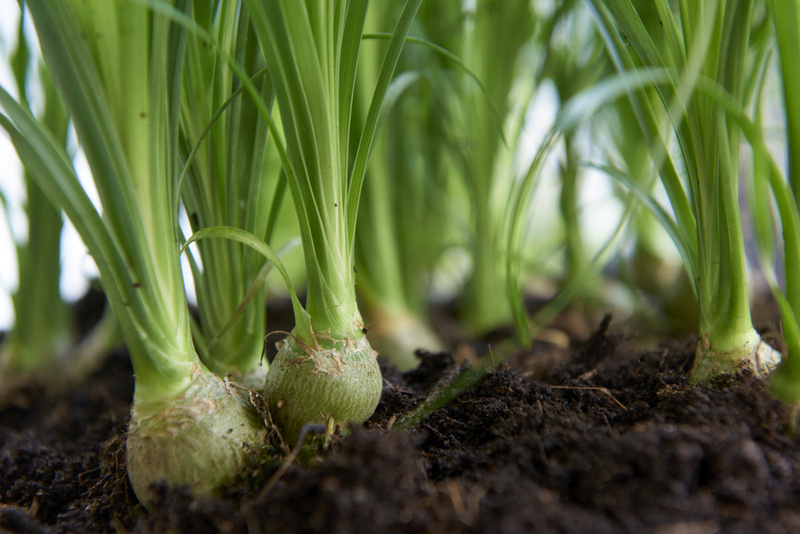 The young variety that only has a tuber, is called Nolina. The trunk and tuber can cope with cats that think it’s a very fine scratching post. Felines often find the leaves irresistible. Chlorophytum comosum with its variegated fronds has a few cultivars which differ somewhat in terms of the leaf colouring. The most common is ‘Variegatum’. Comosum means ‘crested’ and refers to the crests which are found on the plant’s runners. 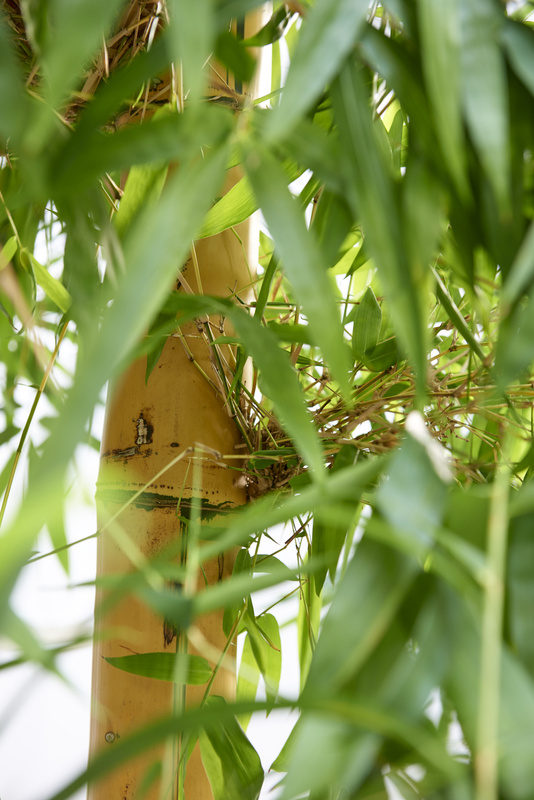 Bamboo in the living room is usually Bambusa vulgare, with sturdy yellow canes on which the bamboo leaves grow. 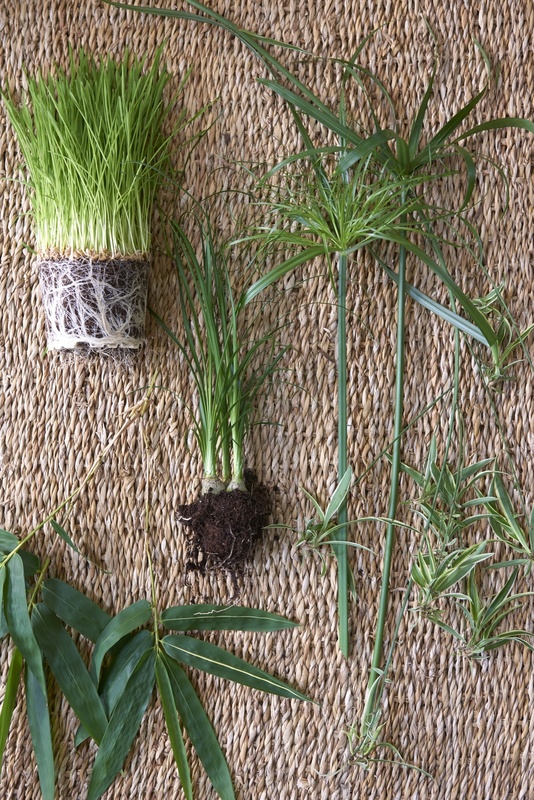 Hordeum (cat grass) is a mini field of barley in a pot, container or bowl. 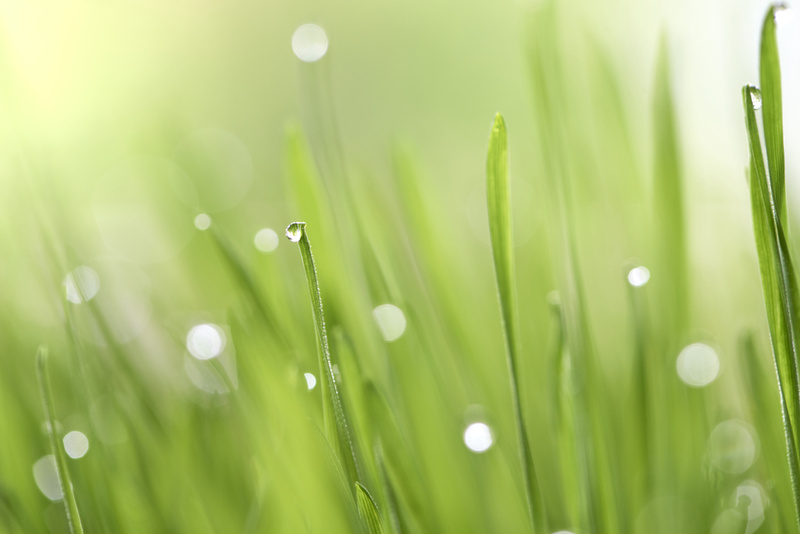 It grows upwards in a compact way, provides (house) cats with folic acid and looks like a comical dark green tall lawn. 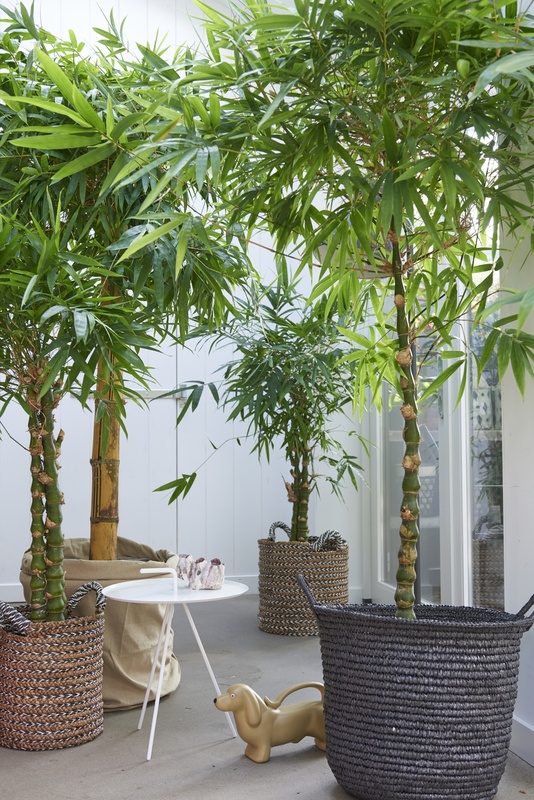 All Pet-friendly plants like a position between light and partial shade without direct sunlight. The plants need a lot of water. The soil should not be allowed to dry out. A bit of plant food safe to use on edible plants, once a month keeps the plant strong and healthy. 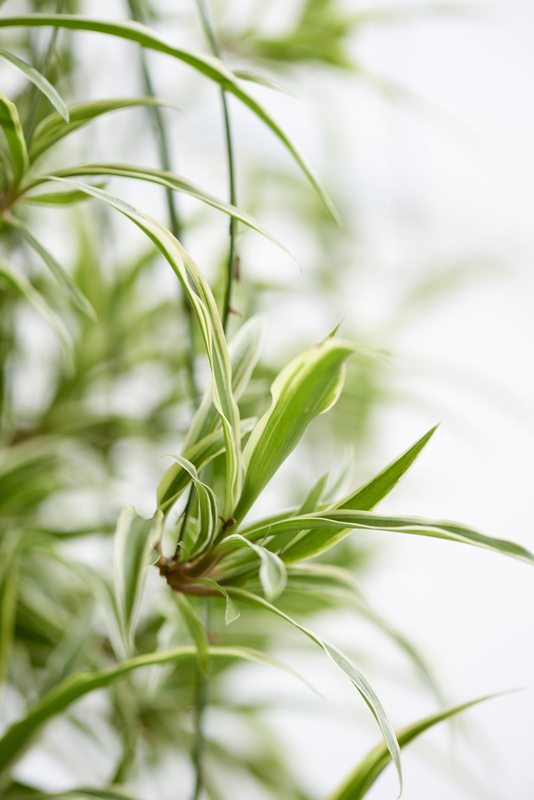 If a cat or dog has got a little over-playful with the plant, damaged leaves can be cut off. The plant will produce new ones. 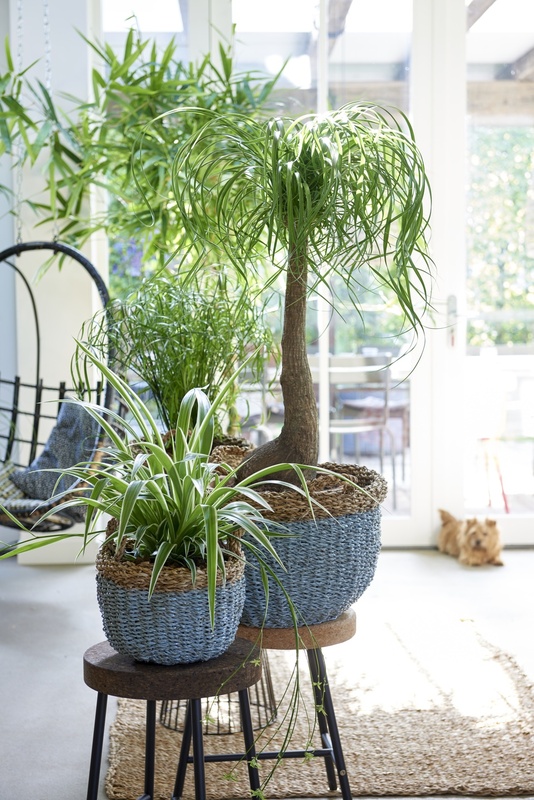 World Animal Day (4 October) is an excellent opportunity to highlight Pet-friendly plants. 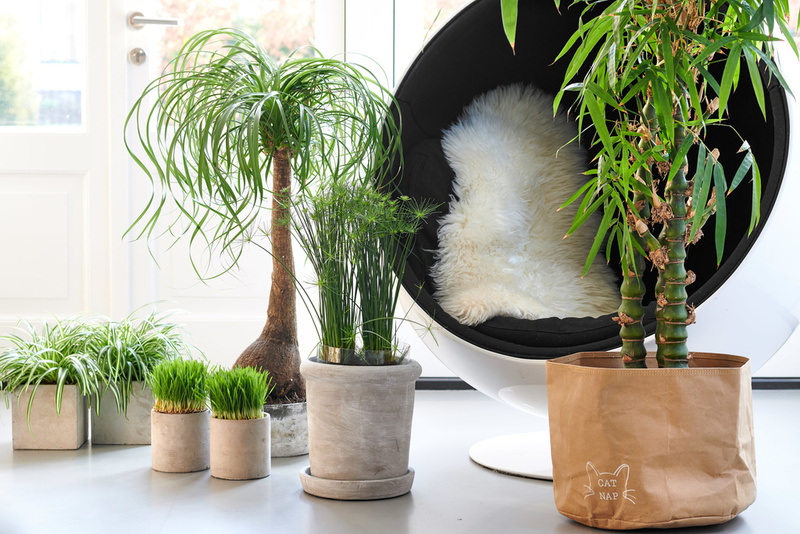 Display the plants with images of dogs and cats, think of a promotion, arrange extra publicity around 'safe plants’ in local freesheets or leaflets. Consider booking a pet photographer, and have them work alongside the display of Pet-friendly plants. 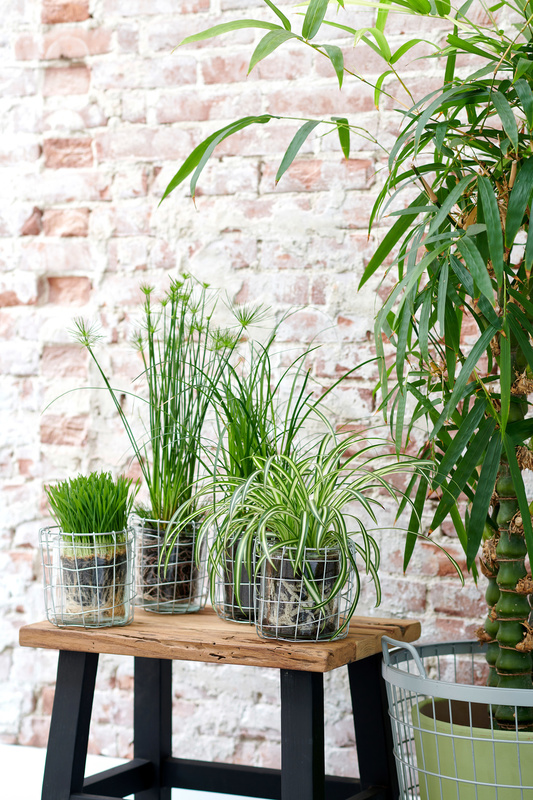 Include a table with Pet-friendly plants in the pets department to further highlight them directly to the right target audience.